Read Soft-Lite windows reviews and explore consumer opinions on their many series, including the Barrington, Bainbridge, Imperial Classic and LS and the Elements. Explore what homeowners and industry insiders think of their product lines and how they stack up to other manufacturers. 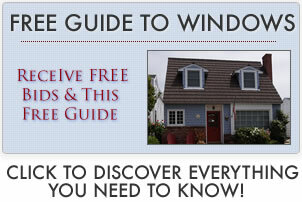 Explore Soft-Lite windows prices here. This website is not affiliated with this window manufacturer. I now use the Okna and the Soft-Lite as my “go to” window, although it used to be the Simonton 5500. I feel that both the Okna 500 and Soft-Lites Imperial (or the Elements Series) are more energy efficient with better air infiltration numbers. My customers are very satisfied with the change for the most part, even if it means $50 to $75 more per window. At the end of the day, they are getting a superior product for a small increase in price. I need all new windows, but I’ll probably sell this house in the next several years so I’m probably not looking to go spend $1000 per window. So I’ve narrowed it down the either the Marvin Infinity (fiberglass window frame) or the Soft-Lite Elements – the price quotes I have are equal on these two. So now I don’t how to make the choice between these two. You have two very good windows there so you can relax because either one will serve you well (assuming good and equal installation). I would say that the Marvin window is maybe a little nicer looking, although not by much. I would say the Elements has better U-factor and air infiltration numbers. So if you can figure out which is more important to you; looks or energy efficiency, this could be a good way to choose. Either way, you should be happy. See additional Marvin windows reviews. I have researched the Elements and Imperial LS Series and they seem very similar to me. The glazing for the LS is an upgrade for about $20 per window, while it comes as a standard feature on the Elements — called the Edgetech Super Spacer. The Elements has a single tilt and lock mechanism and if you reverse the lock you can tilt the double hung sashes. There is a cove / bead design on the outside of the Elements, which I think makes it better looking up close. From the street, you really can’t tell. The Soft-Lite warranty on the Elements includes glass breakage, it is also available for the LS but at additional cost. I believe the Elements is roughly $50 more than the LS. Find additional Soft-Lite windows prices. I think that the Elements Super Spacer system is better than the Imperial Intercept Spacer and the Elements have a Better View screen that comes standard. The Elements looks better than the Imperial (IMO) with the cove exterior and the tilt and lock feature. Having said that, I still like the Imperial a lot and if you do get some of the upgrades they can be close in price – depending on what the dealer charges for upgrades, features etc. If I had to choose one upgrade on the Imperial it would definitely be the Super spacer, as well as the Better View screen. I would have either of these windows in my house for sure. I can’t fault Heartland Windows. They offer superior customer service, they are heavier than many of the other windows on the market and they use the latest technology hardware. SoftLite is a basic window in my opinion and perfect if you’re looking for a budget window. Simonton do manufacture good quality windows but you need to ensure you choose the right series to get the quality you are paying for. What do other people think? See additional Simonton windows reviews. I’ve installed many Soft-Lites – Bainbridge, Barrington, Imperial Classics. But the overwhelming percentage of our jobs is with the Imperial LS. It’s my favorite vinyl window from there, but the Bainbridge and Classic are nice as well. The Elements and LS are fairly similar (exceot for the cove/bead frame, locking system, Super spacer and screen track which are standard for the Elements). I’d say the best vinyl product on the market right now is The Elements. The Imperial Pro is the older Imperial model and is the older brother of the Barrington and Bainbridge Series. It’s a bit dated, but has good performance numbers and is a good replacement window that has minimal glass loss. The Imperial Pro still offers lots of option, has a fantastic sill and comes with a standard locking screen on all double hung windows. More importantly, the Imperial Classic and Pro tends to be sold by smaller dealers and contractors that offer competitive pricing. The Imperials have slightly higher DP ratings than the Bainbridge Series.